There was great excitement today at Spanish Property North headquarters when this large, purple truck pulled up at our door. But before I explain, let me first tell you a cautionary tale of an over-optimistic, overly-romantic ex-pat, with eyes bigger than her belly, who took on too much land, with too little knowledge and quickly found herself in a pickle, with weeds and brambles threatening to consume all before them. Armed only with a whimsical scythe our heroine was quickly overwhelmed. So I she did the obvious thing. Ignored it all. Gaining a permanent crick in her neck from avoiding looking at the disaster that was her hopefully envisioned garden field. The thing is, the climate in Asturias is perfect for growing. It really is. The only problem is that if you don’t plant up and manage your land cleverly then nature will take over. If you don’t decide what grows, then she will. And she does seem to have a perverse liking for brambles and nettles and other unpleasantries. Punishment for neglect, I guess. The good news is that there is no need to suffer in this way. Help is at hand. If you, like I, don’t have the necessary tools, time or training to get the best out of your garden (or field!) 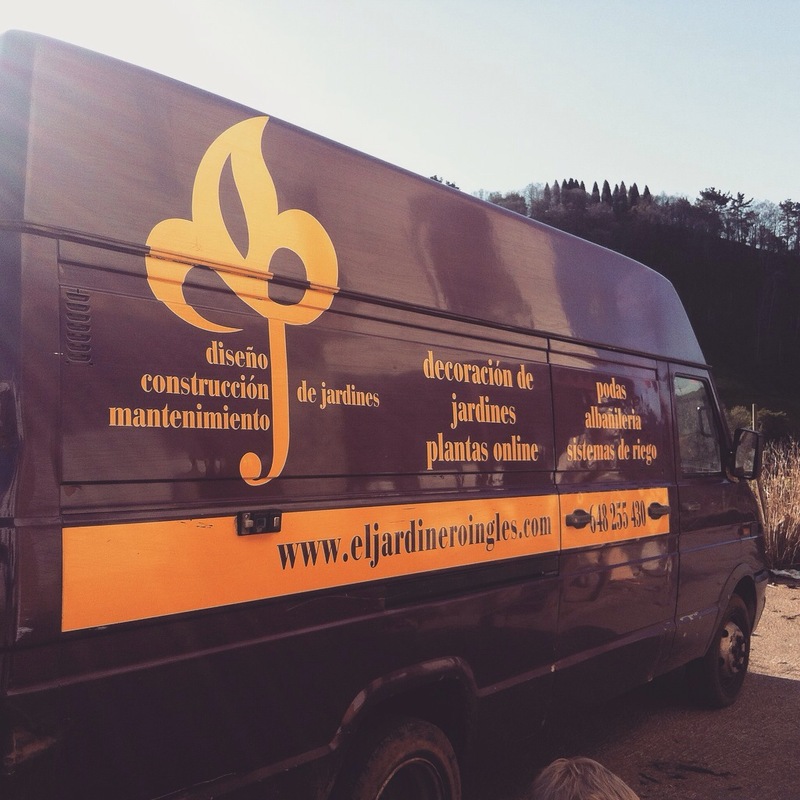 you can do what I did and call in ‘El Jardinero Inglés’ (The English Gardener – an added bonus for newly-arrived expats, the boss is English so no language difficulties to navigate). I have to say, it’s one of those things you just wish you’d done sooner. I’ve seen that big, branded purple van knocking about for years now and yet it was only last week that I got around to ringing the number and asking for help. I think I thought they just specialized in bigger, posher jobs than mine. Turns out, if it’s a garden or growing related job then they can turn their hand to it. And all for a very reasonable price. Highly recommended.